Burning Fat, controlling Diabetes and maintaining a Healthy Gut is like ‘Kahani har ghar ki’. To achieve these goals we suffer each day from resisting temptations to high level of self-control followed by lots of effort. What if these goals can not only be possible but can become easy to achieve with the help of a product. Yes a product! Which gives maximum benefits; it is the “Apple Cider Vinegar” (ACV). 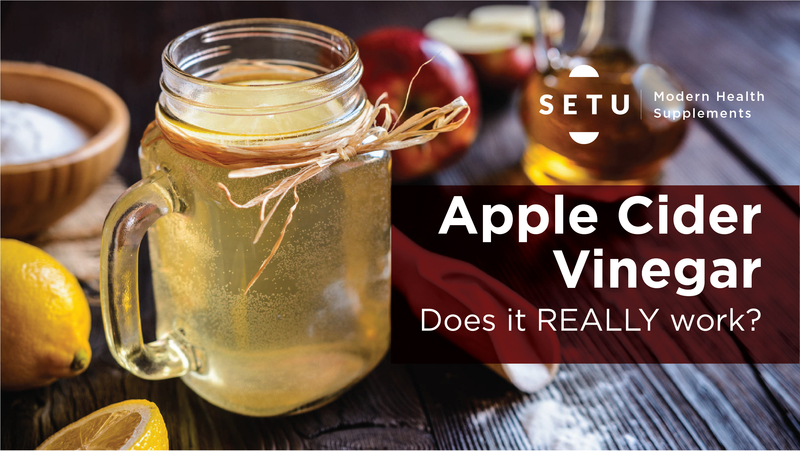 ● What is Apple Cider Vinegar? It is a type of vinegar (sour wine) made up of Apples. Apples are crushed to produce liquid. Bacteria and yeast are added to the liquid and is fermented to alcohol and then again fermented into vinegar by acetic acid. It has no side effects, until we are aware that “Anything in excess is a poison”. Further, it is always recommended to look for raw, organic, unfiltered, unpasteurized, gluten free version of ACV. ACV is like a hub of health benefits. Let’s take a detail look at how does it assists in our different goals like maintaining a Healthy Gut, Fat Loss and controlling Diabetes. Most difficult part in any weight loss journey is controlling yourself on food. People tend to eat a lot, when they reduce they starve, they crave and feel hungry. So the process of good and controlled eating runs only for a week or two. People are not able to stick to this process and then somewhere down the line, they quit. Here comes into picture a weight loss product. What is a good weight loss product? ACV is equipped with both the above properties. It empties the stomach and makes you feel satiated for a longer period of time which in turn reduces your appetite, thanks to its high acetic acid component. A study in Bioscience, Biotechnology, and Biochemistry found that mice, which were given acetic acid, had higher energy expenditure and burned more fat that those given just water. So go ahead and add ACV to your diet to say goodbye to those hunger pangs, cravings and automatically end up consuming less calories and burn more fat. ACV can be very beneficial for diabetics. It has anti-glycemic properties which manages the digestion of starches. Starches allow the blood sugar levels to increase. Let’s understand this with the help of an example; suppose you consume white bread, it will spike your blood sugar level to say 100%. Now, if you combine this with ACV then the insulin will only spike around 65%. ACV is considered natural and safe, so if you have diabetes, it may be worth trying. Kids or adults, male or female, obese or fit, all require a healthy gut. Digestion system is of utmost importance for everybody. ACV has potent anti-bacterial, anti-fungal, and anti-biotic properties. It contains pectin, which can help soothe intestinal spasms. People drink lemon water in morning since it contains citric acid. Acetic acid is the main active component of ACV which can be immensely beneficial for our immune system and detoxification (cleaning process). So get a good gut feeling every time you consume ACV. Best part of using ACV is you can use it with your regular food, diet. There is no need to make extra room for it. ● The most easy and common way of consuming ACV is diluting a table spoon with 8 Oz water. Since ACV has a very strong sour taste you can add following products like, organic honey, maple syrup, stevia to enhance the taste. ● Marinate your meat with 1-2tbsp of ACV. Its acidic properties will tenderize the meat and will add a great flavor to it. ● Use 2tbsp (30ml) of ACV in your salad as dressing. ● Pick any low sugar fruit juice and drink it with 1-2tbsp of ACV before meals. With a preparation time of 2mins it is the perfect go to drink for complete cleansing of our system and burning fat. Mix all the ingredients into the glass of warm water and enjoy your drink. Add honey only if you cannot adjust with the taste. When it comes to people with diabetes, timing is more important. Combining the consumption of ACV with your healthy meals will be highly effective. For example instead of olive oil use ACV in your food/salads for dressing purpose. Combine ACV with super foods to control diabetes for maximum benefits. Warning: No more than 6tbsp of ACV should be consumed in a day. Each serving should not go beyond 2tbsp.